Eukaryotic translation initiation requires the recruitment of the large, multiprotein eIF3 complex to the 40S ribosomal subunit. Using X-ray structures of all major components of the minimal, six-subunit Saccharomyces cerevisiae eIF3 core, together with cross-linking coupled to mass spectrometry, we were able to use IMP to position and orient all eIF3 components on the 40S•eIF1 complex, revealing an extended, modular arrangement of eIF3 subunits. The calculation will generate a trajectory, output/rmfs/0.rmf3, in RMF format. 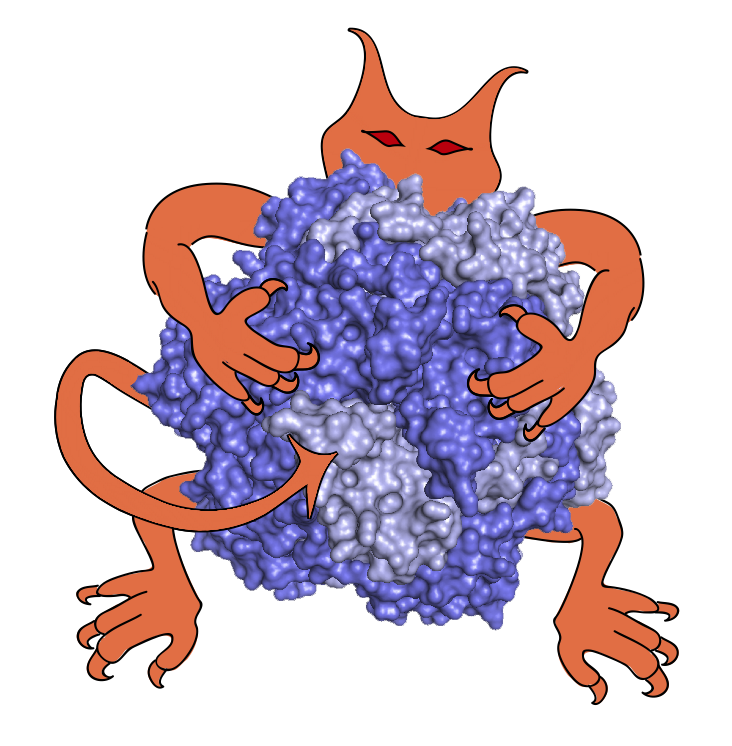 For convenience, the 100 best-scoring models are also output in PDB format in the output/pdbs directory. J. Erzberger, F. Stengel, R. Pellarin, S. Zhang, T. Schaefer, C. Aylett, P. Cimermančič, D. Boehringer, A. Sali, R. Aebersold, N. Ban. Molecular architecture of the 40S•eIF1•eIF3 translation initiation complex, Cell 158, 1125-1135, 2014.